There is nothing more inconvenient than having an appliance break down when you are using it. A refrigerator malfunction right after you have done the weekly grocery shopping means not just inconvenience, but a loss of money. With Palladium Appliance Repair, we can take the stress out of these stressful situations with professional and dependable appliance repairs in Pickering. At Palladium Appliance Repair, we have offered honest and professional residential appliance repair for nearly 20 years and have been consistently voted #1 by our customers for unsurpassed quality of repairs and customer service. We believe in treating our customers the way we want to be treated so you will always be treated courteously and professionally. From our support personnel to our professional technicians, you will get the best customer service possible. That is our promise to you. Our professional technicians are able to repair all your household appliances from refrigerators to washing machines. Whether your repair is as minor as a small component or as major as a motor, we can fix it quickly and efficiently. Our service calls are often made on the very same day you call with your problem. Our technicians come equipped with fully stocked service trucks and have all the necessary parts, equipment, and tools for any appliance repair you may have. By maintaining parts on hand, we can provide our customers with superior service that is convenient for both us and the customer. Before we begin any work, you will be armed with a fully detailed price quote. Our flat-rate, upfront cost quote will always be the price you pay. This way, you will always know exactly how much your service will cost. Our technicians will happily answer all your questions and concerns so you can understand the cost and scope of work to be done. With Palladium Appliance Repair, you will never be surprised with extra fees and costs. We believe in providing affordable, honest, and transparent pricing and services to our customers. At Palladium Appliance Repair, we believe in prevention first. We offer appliance maintenance plans that can be tailored to your exact specifications and appliances. Periodic maintenance often means that most appliance repairs in Pickering will be caught before they ever become emergencies. In fact, almost 90% of repair costs can be prevented with annual maintenance inspections and cleaning. Having your appliances inspected by a professional can also mean more efficient operation and lower energy bills. Get the most out of your household appliances with periodic maintenance. At Palladium Appliance Repair, we not only provide outstanding repair and maintenance services, but we provide full and professional installations of new appliances. 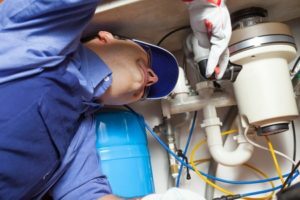 Having the proper installation is important, especially when it comes to plumbing and gas hook-ups. 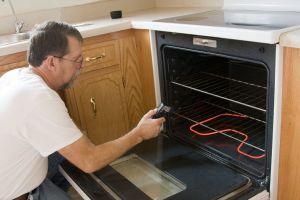 Our technicians have the experience and appropriate tools to ensure the safe installation of your new appliances. When you call us, you can be assured that your new installations are being done by certified and experienced professionals. When you need appliance repairs in Pickering, call the professionals at Palladium Appliance Repair. Our services are available throughout Pickering and the GTA. We pride ourselves on our prompt and professional service. At Palladium Appliance Repair, we know how much you rely on your appliances to make your daily life more pleasant and convenient. From your kitchen to your laundry room, if it is in your home, we can repair it. We believe in serving our customers with the best appliance repair services possible and have done so for nearly 20 years. 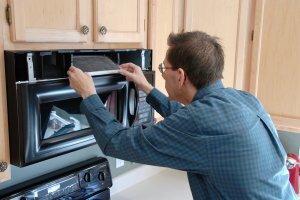 When you need the best appliance repair services in the industry, call the professionals at Palladium Appliance Repair. 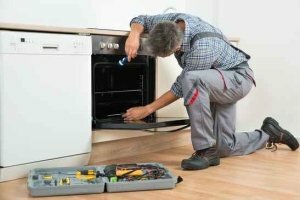 Palladium Appliance Repair, we can take the stress out of these stressful situations with professional and dependable appliance repairs in Pickering.